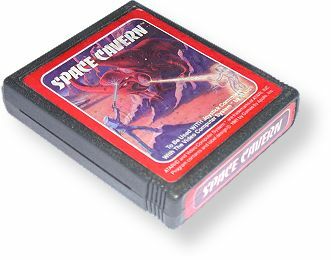 This was the first style Apollo used for its games - colorful labels with interesting artwork and white text. End labels match the color of the main label and repeat the title. Later, Apollo moved to cut costs and began releasing their games with simpler blue labels. Some games were released in both styles.